Garbine Muguruza beat Venus Williams 7-5, 6-0 to win her first Wimbledon title and second career Grand Slam tournament, having beaten Serena Williams in the final at the 2016 French Open. Muguruza is the first woman to beat both Williams sisters in a Grand Slam final. Muguruza also became the second Spanish woman to win Wimbledon, joining Conchita Martinez, who is serving as her coach for this tournament. 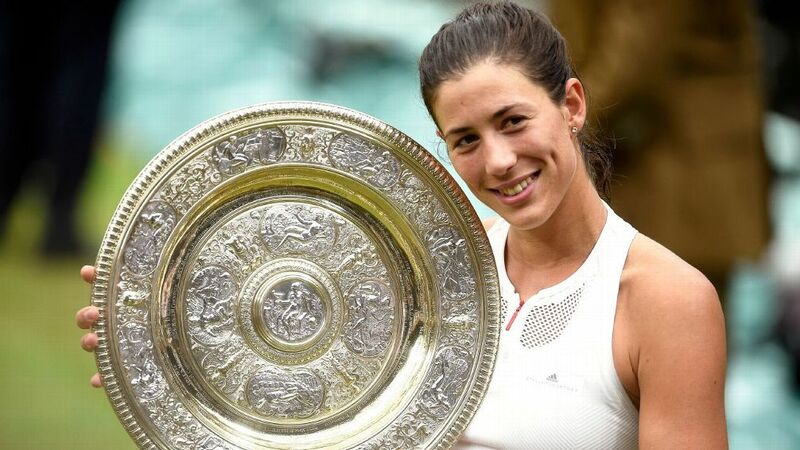 Muguruza became the second Spanish woman to win multiple Grand Slam titles, joining four-time Slam champion Arantxa Sanchez-Vicario, who won three French Open titles and a US Open crown. Sanchez-Vicario won three of her four titles before turning 23, winning once more (1998 French). Muguruza is 23 years old, turning 24 in October. She won this title despite being a 14-seed, the fifth double-digit-seeded woman to win Wimbledon in the Open era, joining Venus Williams (twice), Marion Bartoli and Maria Sharapova. Only Bartoli (15th) and Williams (23rd) were seeded lower than Muguruza. By beating Williams 6-0 in the second set, Muguruza became just the third woman in the Open era to clinch a Wimbledon title in that fashion. She joins Williams, who did so in 2001, and Petra Kvitova, who did so in 2014. Venus Williams was thwarted in her bid to become the oldest woman to win a Grand Slam final, and mistakes were her undoing. She committed 25 unforced errors and hit just 17 winners in the match. She was 0-for-3 in break-point opportunities while Muguruza broke Williams' serve four times. Williams has played 224 completed sets at Wimbledon, including Saturday's final, and this is the first time in her career she's lost a set at the tournament 6-0. The 14-year age gap between the finalists was the fourth-largest between two women's Grand Slam finalists and the largest since Wimbledon in 1994, when a 22-year-old Martinez defeated 37-year-old Martina Navratilova -- the same Martinez who coached Muguruza this week.